Just because you are a Chinese bride or Southeast Asian bride, doesn’t mean that you should not have your very own princess fairytale wedding. Some may feel that it can only be a Western bride that can have a Cinderella wedding – we beg to differ. 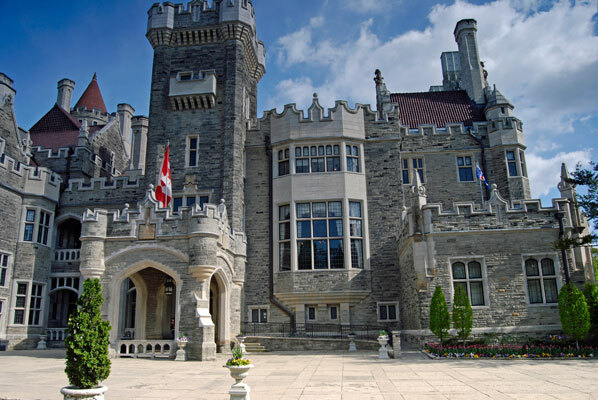 There is no better place for a fairytale wedding other than Toronto’s majestic Castle – Casa Loma. Casa Loma is located at 1 Austin Terrace, Toronto. It has five acres of gardens, and now both a museum and landmark. It was originally a residence for financier Sir Henry Mill Pellatt. From 1997 until 2012 the castle underwent a 15-year, $33-million exterior restoration. In January 2014, the city entered a new long-term lease and operating agreement with Liberty Entertainment Group, led by President and CEO Nick Di Donato. The group agreed to spend $7.4 million to continue the castle’s restoration, installing air conditioning, enhancing the special events and dining experience and integrating new technology for school and cultural programming. Wendy actually considered hosting her wedding in this castle, but decided against it due to the lack of air conditioning and that it simply could not hold her rather large guest count of 600 guests. Image courtesy of www.danstefan.ca – The Conservatory – The floor marble is Italian but the side panels are Ontario marble. Steam pipes kept the flower beds warm in the winter. It is the indoor space that is typically used for a wedding ceremony on site. 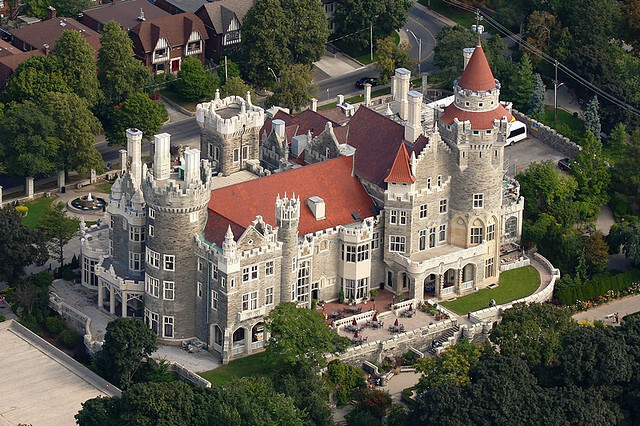 Interesting fact of Casa Loma that most probably wouldn’t realize, but Wikipedia cites that it during World War II, Casa Loma was used to conceal research on sonar, and for construction of sonar devices (known as ASDIC) for U-boat detection. It should be noted that most of the work went on behind an area simply segregated with an “Under Repairs” sign, behind a simple sheet. This allowed people to come and go dressed as workmen, right under the public’s nose. Image courtesy of www.bestoftoronto.net – The Glass Pavilion and Gardens – another spot perfect to host a wedding reception which gives the guest an outdoor feel. 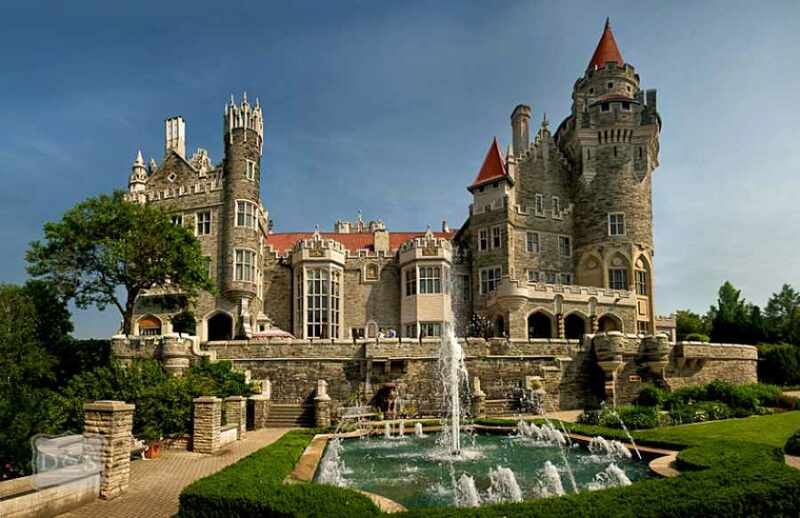 It is operated from May – October and located in the East Garden of Casa Loma with stunning views of the city and the castle. This special estate includes sparkling fountains, unique sculptures and display and rare florals. Besides the The Conservatory, The Glass Pavilion and the Library, other appropriate spaces for wedding celebrations depending on space utilization and guest count are the Great Hall, The Oak Room, The Terrace & Garden and the Billiard room. Please feel free to comment below if you are intending to have a Cinderella princess theme wedding. We’d love to hear about your ideas and inspirations.